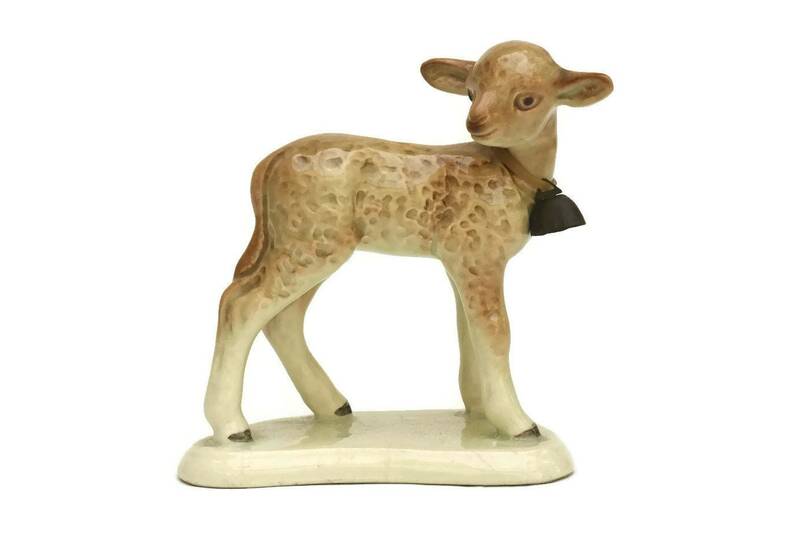 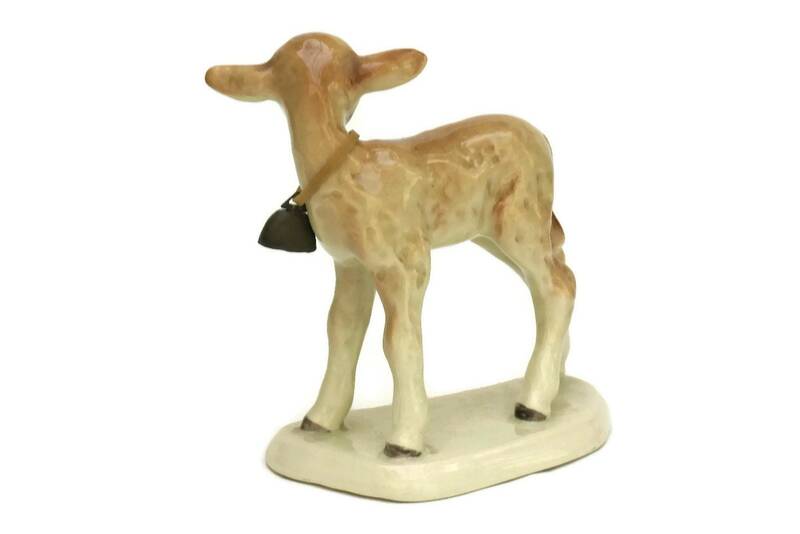 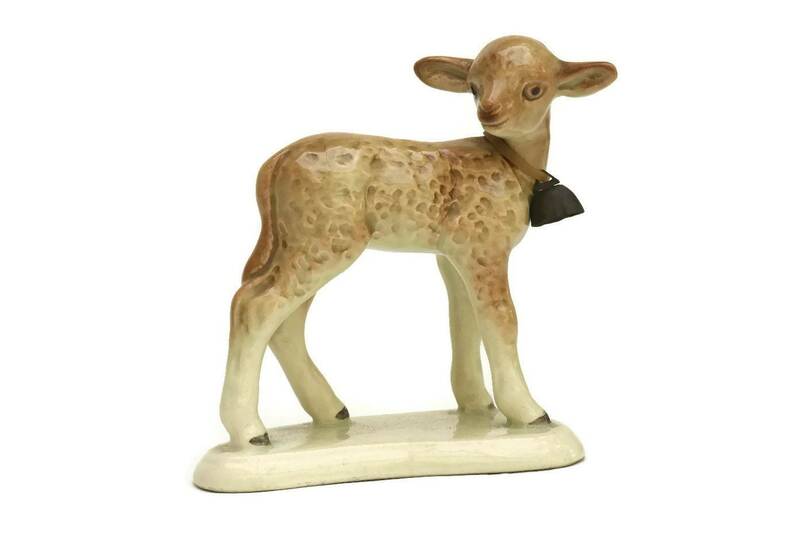 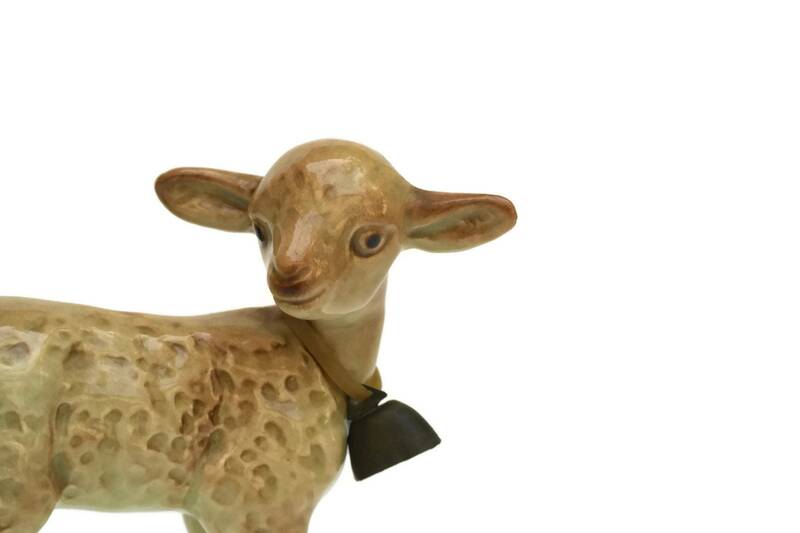 An adorable vintage French ceramic Easter lamb figurine. 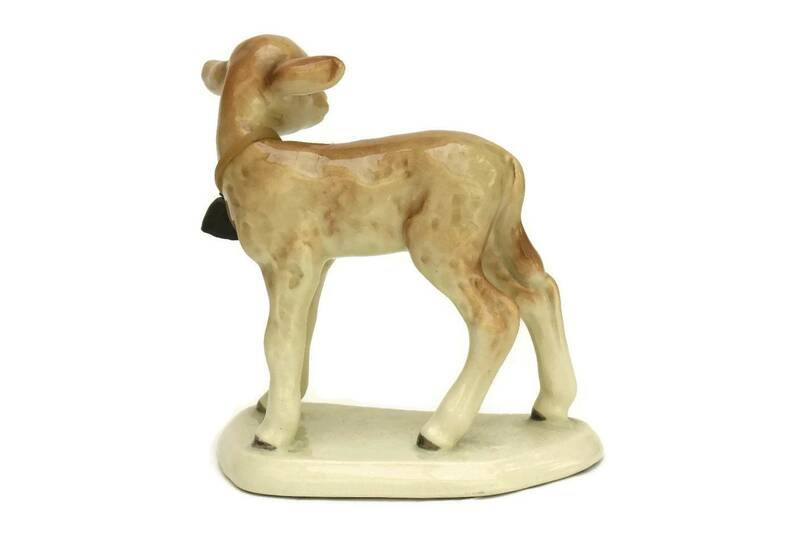 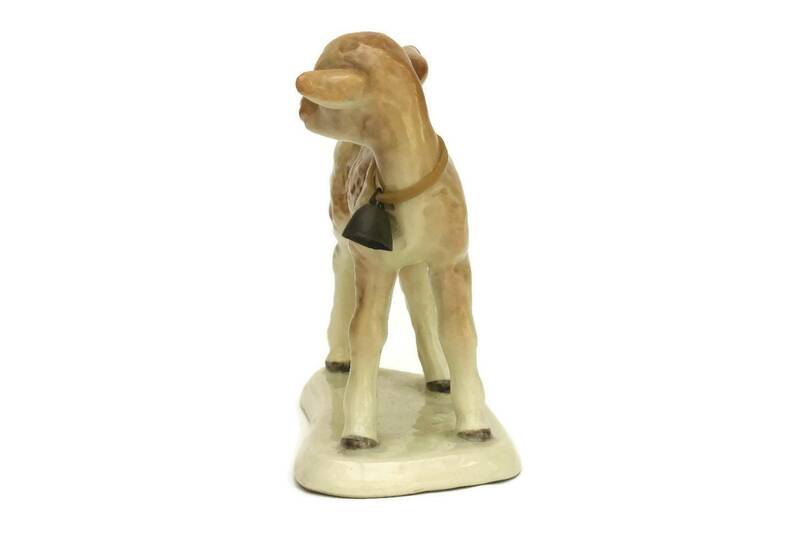 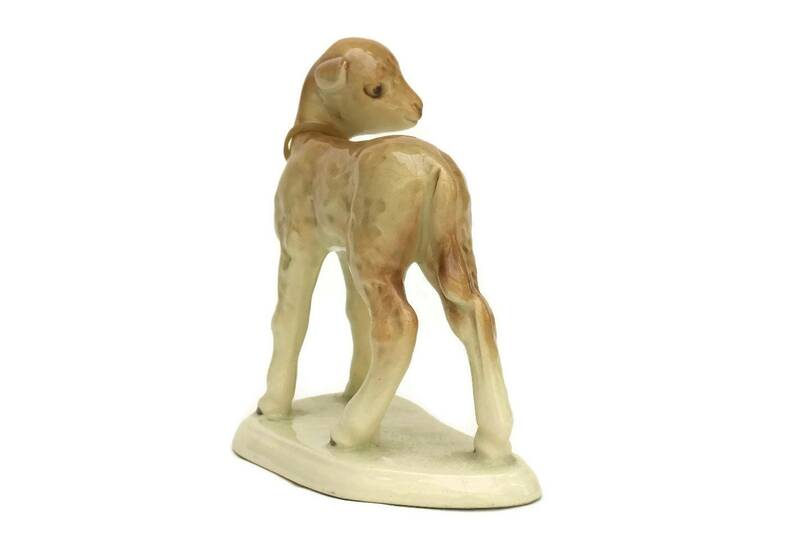 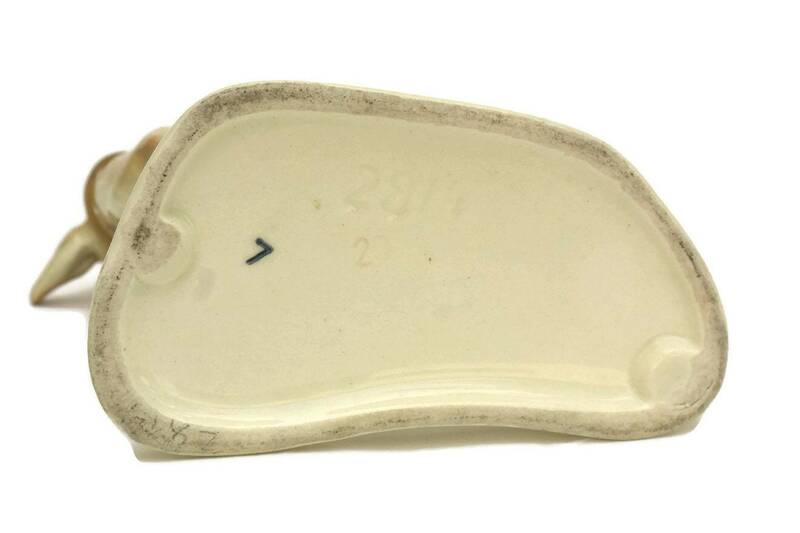 The pottery animal figure has been glazed in shades of beige and brown and features a charming expression. 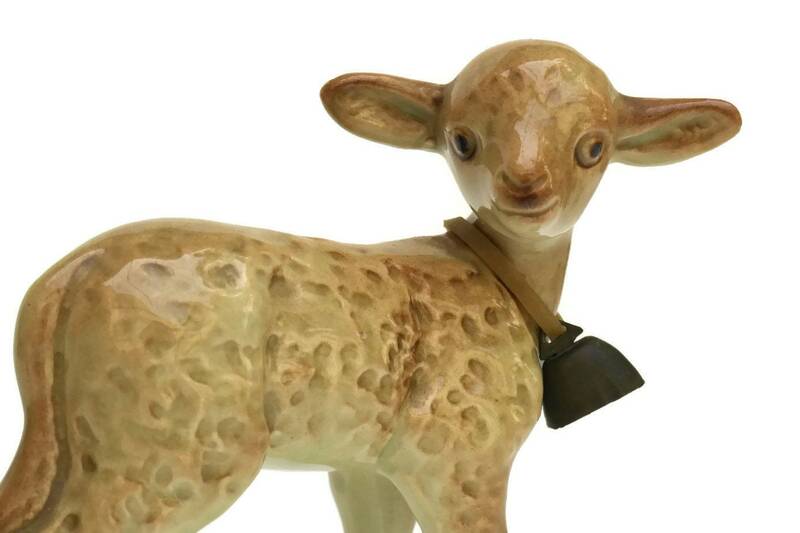 A little brass metal bell is attached with a rubber band around the lamb's neck. 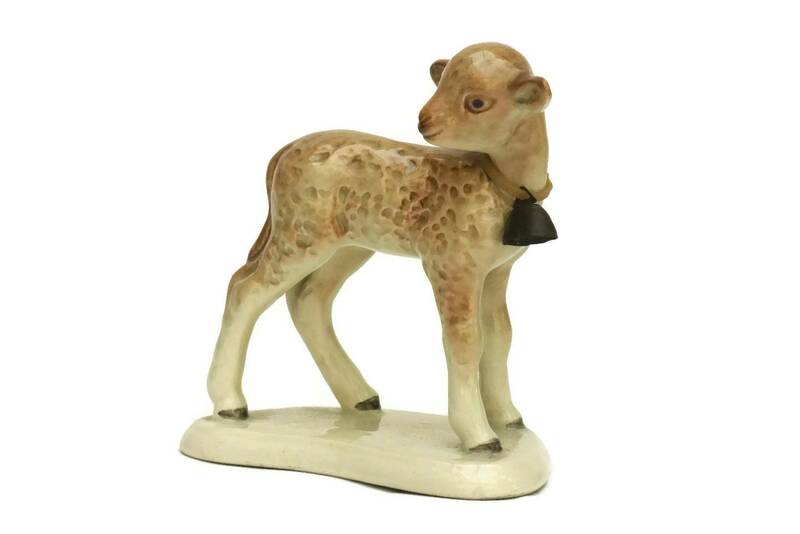 The lamb figurine is in very good condition.